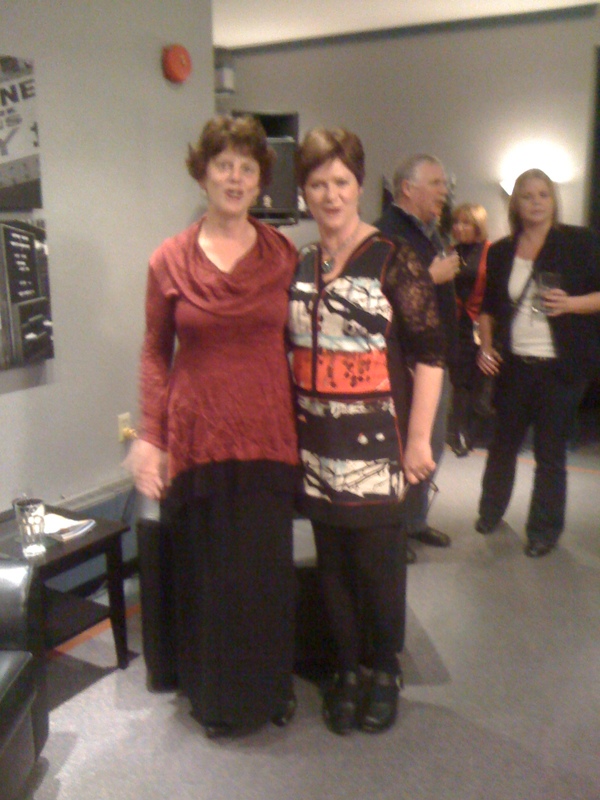 I had a great experience last Friday night, October 19, when I accompanied my dear friend Amy Melmock to the opening night of a new play at the Neptune Theatre (which she is the general manager of). It’s a play called BINGO by our own Daniel MacIvor. Emmy Alcorn is in one of the starring roles and she is hilarious. You may remember seeing her modelling for us in the Marching Right into Fall photo essay. So before I left town to drive to Halifax Amy called and said – “I’m in fashion crisis – can you bring me something to wear for opening night? ” So I brought her a couple of pieces and she chose Dinbha’s fabulous tunic top that she paired with her own flowy palazzo pants. Fabulous! It’s so with the trip to Halifax to see this terrific play! I stayed for the party afterwards and there was Emmy in all her glory wearing another little Aphrodite number by Aventure des Toiles. I only had my phone camera so I apologize for the quality but check out our little goddesses doing my Aphrodite heart proud! 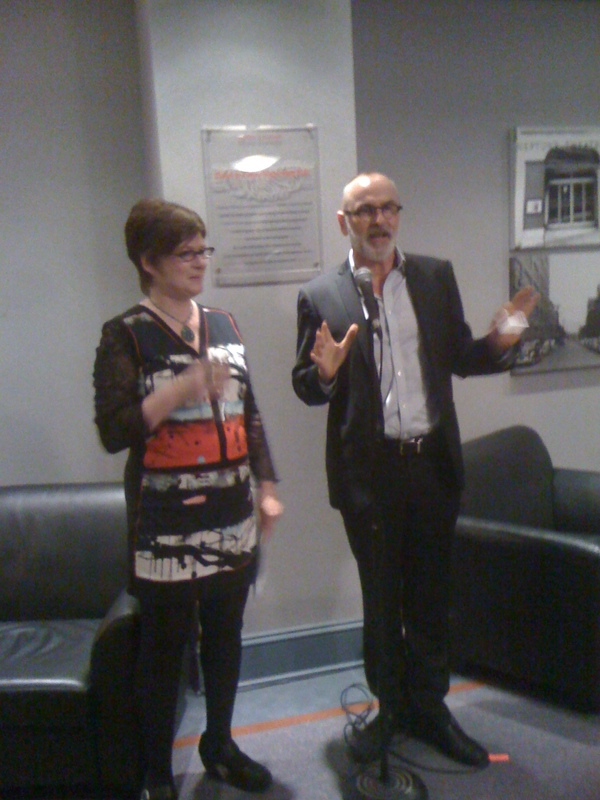 Emmy and playwright Daniel MacIvor welcome the crowd to his new comedy hit BINGO on now at the Neptune Theatre. 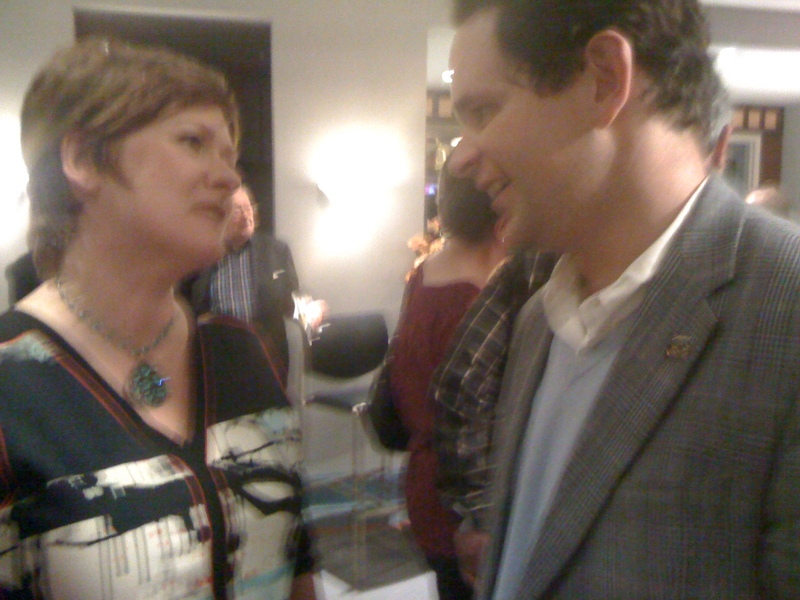 Emmy schmoozing with Neptune Board Chair Rob Batherson at the opening night. Emmy and Amy both addressed the full house crowd welcoming them to the opening night of Bingo. Saw “Bingo” at the Mulgrave Road Theatre; it was terrific! Congratulations to Amy, and she does look fabulous in her clothes from Aphrodite!